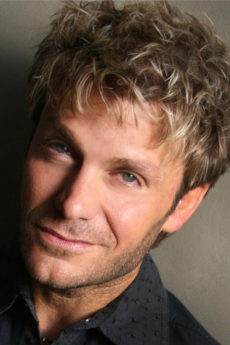 Victor Joseph Mignogna was born in Greensburg, Pennsylvania. He was always interested in drama, film, music,acting, and majored in Film in college. Vic spent approximately ten years acting in independent films and composing, transposing and producing music for ad agencies, TV series, and movies. In 1998, through a connection from a work associate at the time, Vic made his debut as Vega in "Street Fighter 2" under ADV Films. Vic enjoyed the anime dubbing experience and continued working for ADV. Soon, he landed his first main character role as Gawl in "Generator Gawl". Over time, Vic also began working for FUNimation Entertainment, and moved from Houston, Texas to Los Angeles, California to continue work there in late 2008. Vic now works predominately for FUNimation. Vic has continued his music career, releasing five albums, Selah (original piano music), Metafiction (original music, including the anime-related songs Nothing I Won't Give [Fullmetal Alchemist]) and Soldier A, saluting the generic soldiers of anime), If These Walls Could Talk (original music), a Christmas album (including 2 original songs), and Selah II (the sequel to Selah, also original piano compositions). His sixth album, which is a remix album, remixing some of his original songs and some popular songs, is set to be released in February of 2010. This album also contains Vic's English version of the Brothers Theme from "Fullmetal Alchemist" and the English version of the "D.N.Angel" opening theme, True Light, both of which are licensed. Vic has now appeared in approximately 150 anime series and video games, and has sung many English dub theme songs, most notably in the FUNimation dub of "One Piece". He is best known for his roles as Edward Elric from "Fullmetal Alchemist", Tamaki Suoh from "Ouran High School Host Club", Broly from "Dragon Ball Z", Fai D. Flowrite from "Tsubasa Chronicle", Zero Kiryu from "Vampire Knight", Spirit (Death Scythe) from "Soul Eater", Dark Mousy from "D.N.Angel", Kurz Weber from "Full Metal Panic", and Ikkaku Madarame from "Bleach". He made his directorial debut in "Claymore", in which he also plays the role of Rigaldo. Vic won Best Actor at the American-Anime-Awards for his role of Edward Elric in "Fullmetal Alchemist".